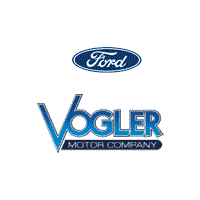 Welcome to Vogler Ford, your best source for online automotive deals. This 2016 Ford F-150 has a 3.5-liter V6 EcoBoost engine, automatic transmission, and 4-wheel drive. This Lariat Super Crew comes fully loaded, with heated and cooled leather bucket seats, touchscreen SONY stereo system, hands-free Bluetooth, and all-weather rubber floor mats. The GPS navigation guides you everywhere you go, and the rearview camera and backup assist makes parking and towing easier than ever. Remote start guarantees your truck is ready when you are, and you'll enter and exit in style with power-deployed running boards. Extras include a power-sliding rear window, class IV trailer hitch, and blind-spot alerts. Come visit us in Carbondale, Illinois and take it for a test drive today. Welcome to Vogler Ford's exclusive online vehicle listings. This 2014 Ford Explorer has a 3.5-liter V6 engine, automatic transmission, and front-wheel drive. This XLT model comes equipped with heated leather seats, a booming 9-speaker SONY sound system, and dual-zone climate controls. The voice-activated navigation system is your personal guide to every road, and the rearview camera makes parking a breeze. You can haul anything with the trailer towing package, and Bluetooth technology lets you use your phone without taking your hands off the wheel. Come visit us at 1170 East Main Street in Carbondale, IL, and take it for a test drive today.